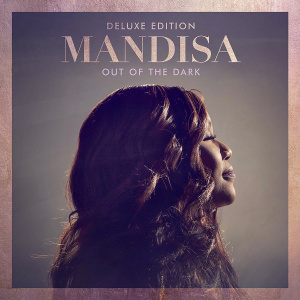 Coming off her most successful album ever, Mandisa has returned with an all new studio album, Out Of The Dark. Her previous album, Overcomer, produced an RIAA Gold single, garnered 2 Grammy Wins, and has sold over 320,000 albums. After the success of Overcomer, Mandisa fell into a deep depression, isolating herself from friends, family, and music. But now she is emerging from the pit of depression with a new album and a new outlook on life. Leading with the hit single, "Unfinished," Out of The Dark is filled with songs of hope, resilience, & reminders that God is still working, no matter the circumstance. The new album also features guest artists TobyMac, Kirk Franklin, and more. With more than 1.4 million records sold, the American Idol album is a voice of encouragement and trust to people facing's life's challenges all around the world. Mandisa's previous album, Overcomer, debuted #1 on the Billboard Christian Albums Chart and featured the smash hit single of the same name. That album awarded Mandisa with 2 Grammy Awards and unprecedented media exposure, performing on Good Morning America and singing the National Anthem at a televised NFL game. This spring, Mandisa joined TobyMac on his Hits Deep Tour, hitting arenas all across the country. Out Of The Dark (Deluxe Edition) by Mandisa was published by Capitol in June 2017 and is our 6699th best seller. The ISBN for Out Of The Dark (Deluxe Edition) is 0602547935878. Be the first to review Out Of The Dark (Deluxe Edition)! Got a question? No problem! Just click here to ask us about Out Of The Dark (Deluxe Edition). Now Playing: Voicemail Your browser does not support the audio element.